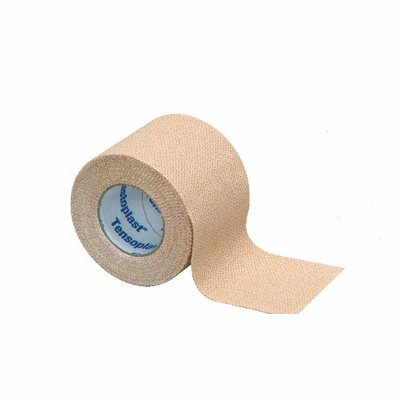 Surgical Wound Care Tapes from Sportaid are perfect for fixing any wound care dressing to any wound and are useful for securing wound dressings, tubing, and catheters as well. 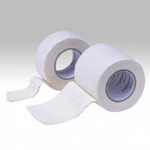 Our surgical tapes are comfortable and porous and stretch to accommodate swelling and movement. 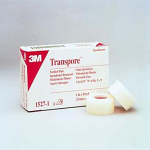 Sportaid offers superior quality surgical tapes from international brands like Medipore, Micropore, and Transpore. 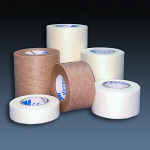 The Tensopplast Tape can be used to secure dressings over delicate skin, such as facial dressings, elderly skin, and surfaces requiring repeated tape applications. Sportaid offers reliable and effective options to ensure proper prevention and protection from infection. 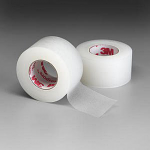 To ensure your safety and comfort, browse through our selection of Surgical Wound Care Tape or feel free to call 1-800-743-7203 for expert assistance. And be the best you can be by choosing Sportaid as your wound care needs supplier. 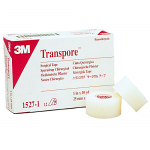 With available savings up to 31%, Sportaid is the place for Surgical Wound Care Tape! Whether you are a new customer or someone who has been with us for a while, we guarantee satisfaction. 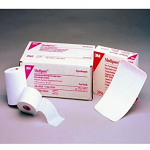 We have been the industry leader in the business helping people find Surgical Wound Care Tape at the lowest prices for over 25 years of proud service! We carry a large selection of wheelchair cushions, wheelchair parts, and wheelchair accessories. If you find a competitor advertising a better price, call Sportaid and we will beat it! Our customer service staff has over 50 years of experience, plus over 90 years of combined wheelchair use experience. We look forward to working with you!